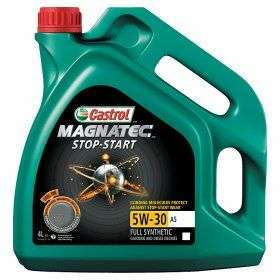 Castrol MAGNATEC STOP-START 5W-30 A5 is suitable for use in Ford vehicles that require a 5W-30 lubricant that Meets Ford WSS-M2C913-C/ WSS-M2C913-D specifications. Well done for posting ALL the details about the oil and not just '5W-30 oil' as most people do. Hot from me! C2 and c3 versions of 5w 30 also at this price. Heat. Anyone know if the EDGE version on offer anywhere plz.